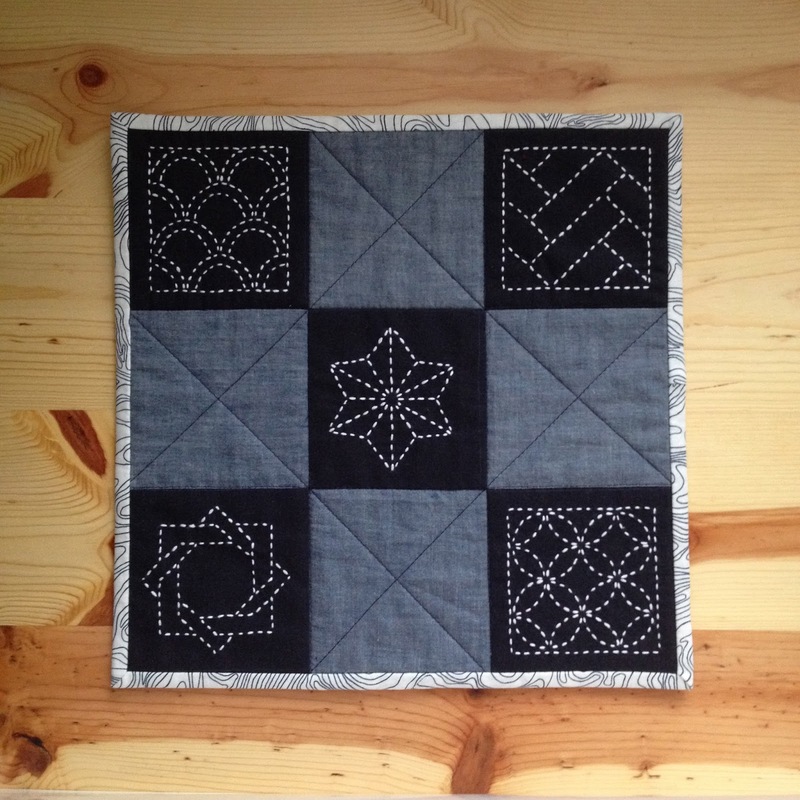 I gifted my mom this sashiko pillow a few years ago, so for her birthday last month, I made her this mini quilt featuring blocks of hand-stitched sashiko embroidery. The fabric squares were actually from a coaster kit, but since coasters tend to be in abundance in our family, I decided to use the small squares to make a wall hanging instead. 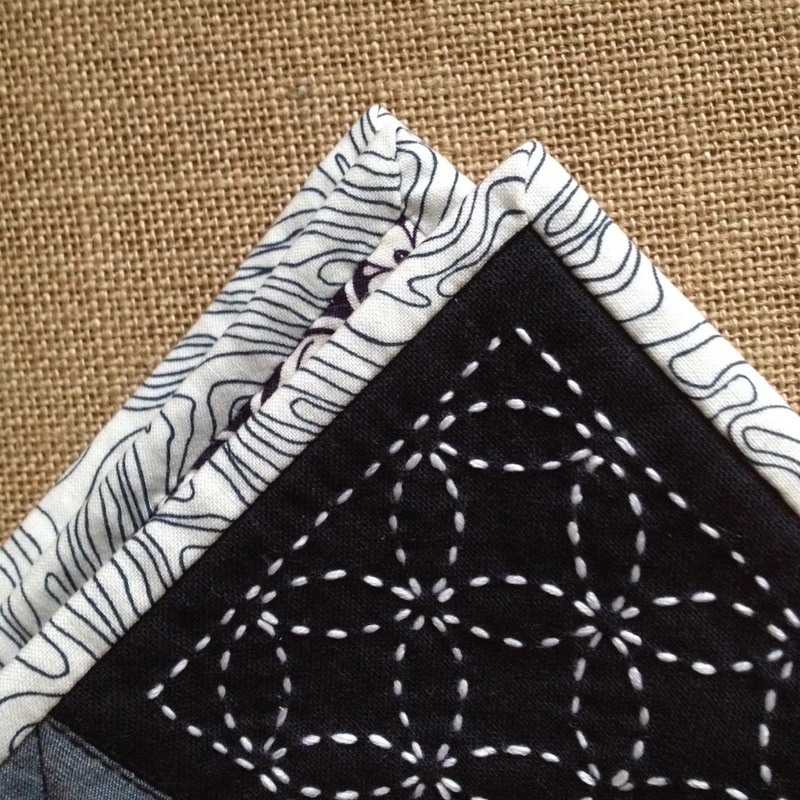 I alternated the squares with a chambray, and backed the quilt with a navy and white Japanese print. Since the squares already featured so much stitching, I kept the quilting simple and stitched in the ditch. 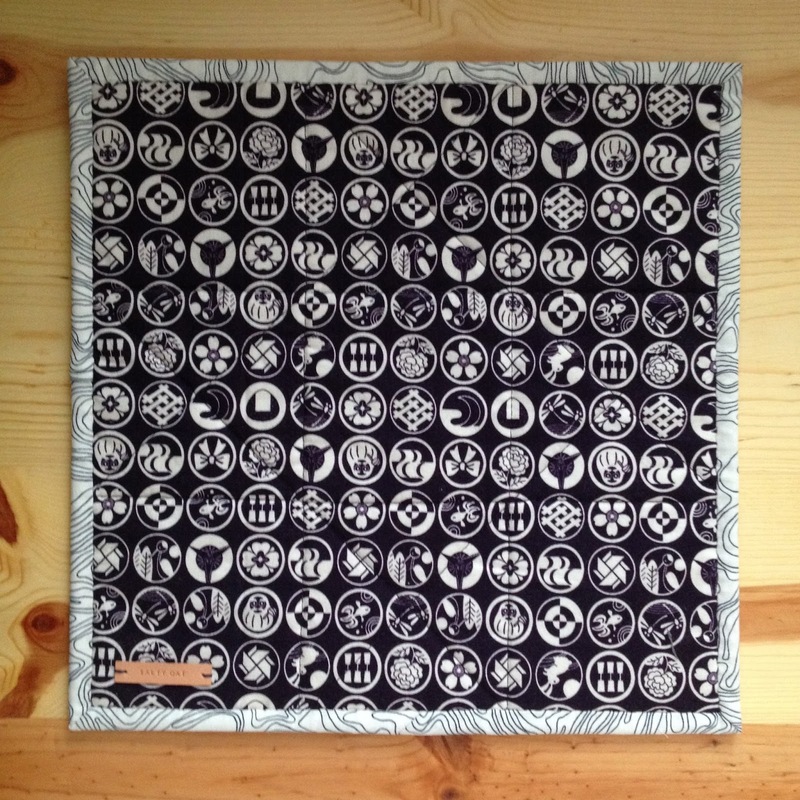 I bound the quilt with a topographical print from Carolyn Friedlander's Architextures line. I really love how this mini quilt turned out, and thankfully, so did my mom! P.S. 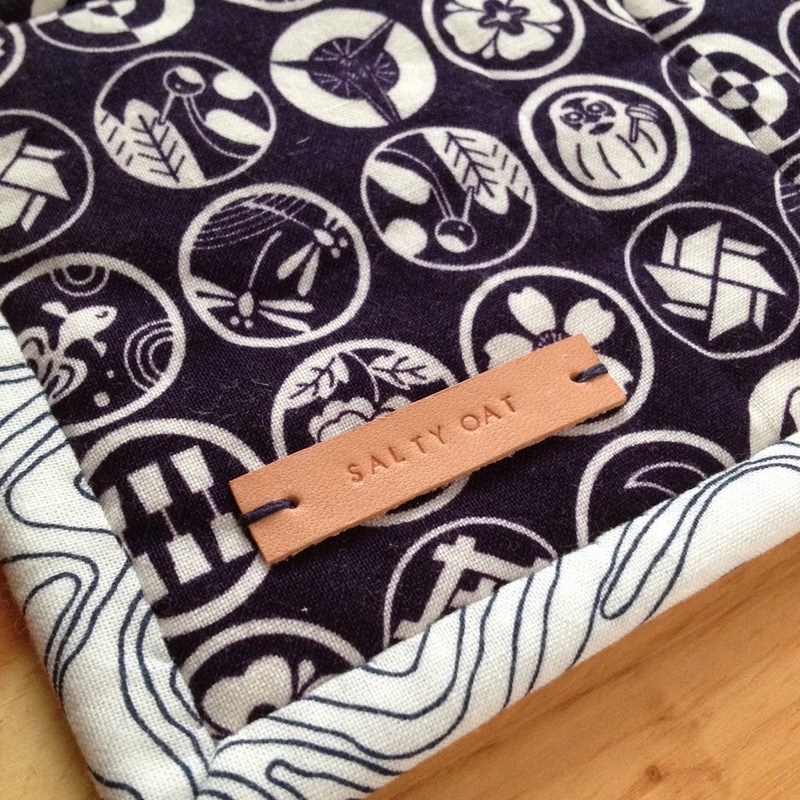 There are still a few spots left in the embroidery class that I'm teaching at Gather in Cary, NC, tomorrow night, and I'd love to have you join if you're local and interested!